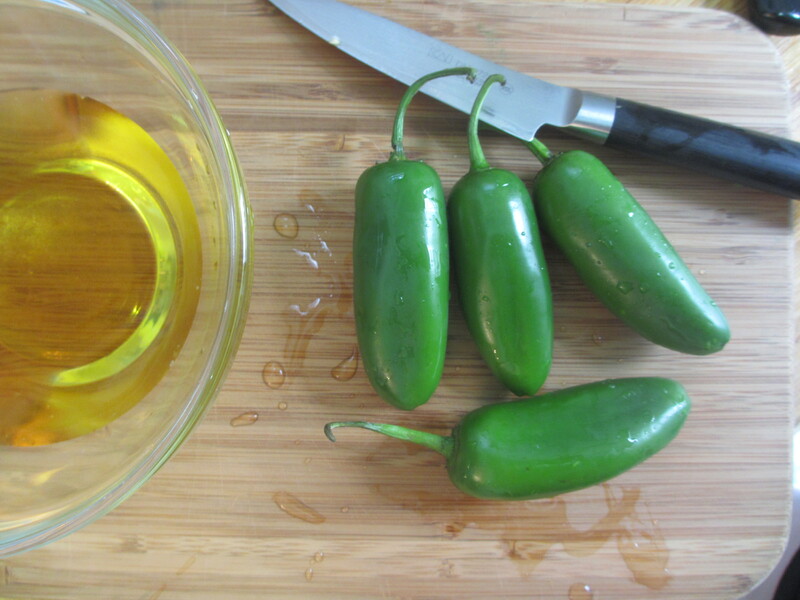 It’s almost impossible to buy just one or two jalapeños at a time in the stores near our home. Instead, the spicy little peppers are always sold in bags containing eight to nine. Who needs that many at once? Not me! We recently had a few extra floating around our fridge for about a week, and I was determined to put them to good use. I decided to experiment with a quick pickling technique I usually use for cucumbers. I adjusted the recipe a bit, with the major changes being the addition of lime and garlic. I have to admit, I was quite pleased with the results. They tasted slightly sweet with a spicy kick at the end. 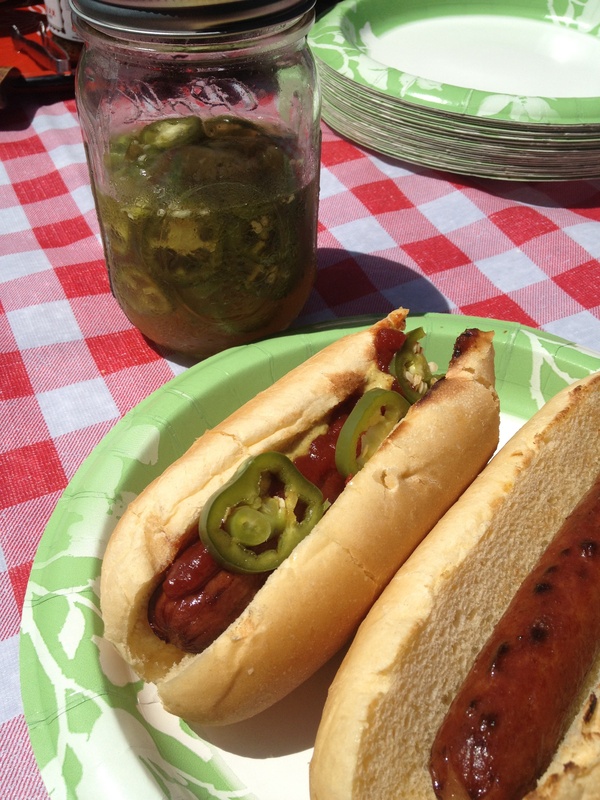 They were the perfect addition to the condiment tray at our recent picnic. I could also see them being a tasty ingredient to add to grilled cheese, a unique topping for pizza or a welcome addition to some morning eggs. 1. In a small bowl or glass jar, combine the apple cider vinegar, lime juice, salt and sugar. Whisk until sugar is dissolved. 2. Add the jalapeños and garlic to the liquid and toss to coat. Make sure there is enough liquid for all of the jalapeños to be submerged. If not, add more apple cider vinegar. Leave on counter for 30 to 60 minutes, stirring every 15 minutes or so. Transfer to the fridge until ready to use.